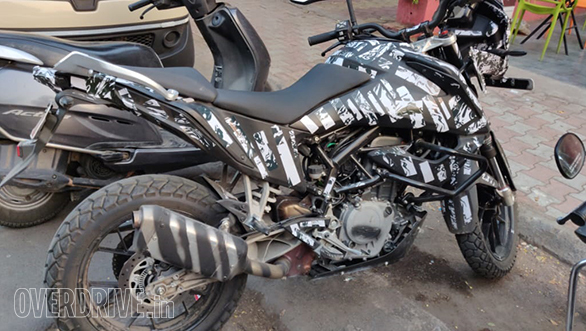 KTM 390 Adventure spotted once again - What do we know so far? 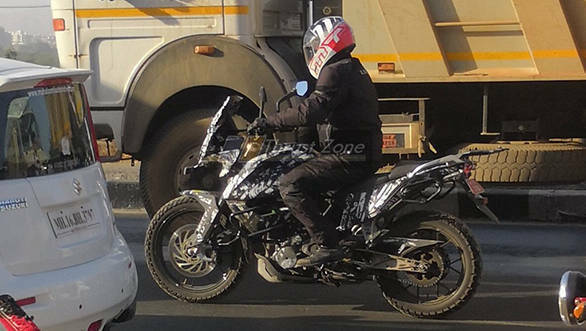 KTM 390 Adventure was spotted once again on test in India. By now it is safe to say that the KTM 390 Adventure is one of the most anticipated motorcycles for the Indian market is expected to break cover sometime this year. That said, the Austrian motorcycle maker could be launching the 790 Duke early next month and the rumour of offering the KTM 790 Adventure for the Indian market could have pushed the 390 Duke off their priority list. But the recent images hint at KTM making sure that the 390 Adventure is all ready for the Indian market as well as international markets. KTM 390 Adventure is expected to be styled on the same lines of the family design seen on its older siblings the 790 Adventure, 1090 Adventure and the 1290 Adventure. The test mule was equipped with 12 spoke alloy wheels instead of 10 spokes seen on the 390 Duke. An engine guard, also known as a bash plate seems to be a standard offering with the motorcycle. Handguards could be an optional extra. The mirrors of the motorcycle seem to be ones offered on the 390 Duke. That said, we expect the 390 Adventure to host a similar TFT Screen as seen on the Duke counterpart. The adventure motorcycle is expected to be based on the same platform as the 390 Duke, however, with heavy modification such as stronger engine mounts, different steering geometry and a revised subframe. For suspension, KTM will deploy a new setup with longer travel and revised damping suitable for adventure riding. However, the brake setup is expected to be the same as the 390 Duke with different modes for ABS including a completely turned off mode. 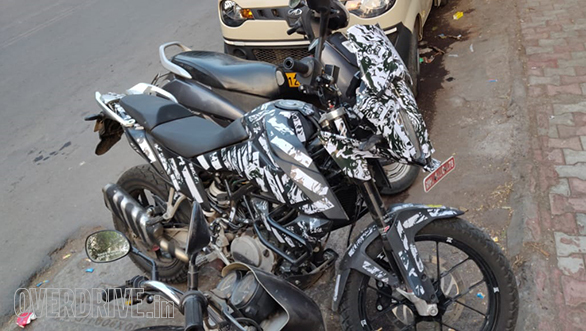 The bike spotted on test was shod with dual-purpose tyres, we expect the same on the motorcycle which will go on sale. Powering the 390 Adventure could be the same 373cc motor from the 390 series of motorcycles and the power figures are expected to be the same - 43PS and 37Nm. The pricing for the 390 Adventure could be Rs 20,000 above the 390 Duke, at Rs 2.65 lakh ex-showroom pan India. 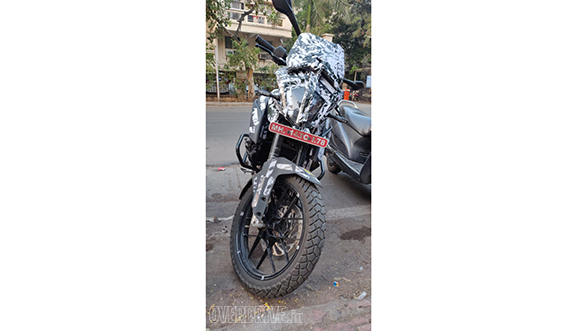 This could make the 390 Adventure as the most value for money proposition in the segment which also has the Royal Enfield Himalayan, BMW G310GS and Kawasaki Versys-X 300.